Perhaps no other journalist had a more triumphant year than Nate Silver did in 2012. But this election season has been more difficult. Silver, the founder and editor in chief of FiveThirtyEight, was dismissive of Donald Trump's prospects last summer and fall, and now that Trump has essentially clinched the GOP nomination, Silver's critics are crowing about his early pronouncements. Now Silver is firing back — and defending FiveThirtyEight's "good track record." "I guess you can blame us for sticking too much to history," he said in an interview for CNN's "Reliable Sources." Trump is certainly ahistorical. Overall, Silver said, his data-driven method of forecasting elections holds up. "This year we've gotten 52 out of 57 calls right in states," he said. Silver is working on an opus for FiveThirtyEight that will detail his views. Last fall, Silver gave Trump a mere 5% chance of capturing the Republican nomination, and scolded the media for "freaking out" about the former reality star's poll numbers. The 5% figure and FiveThirtyEight's early coverage of Trump's candidacy have invited a healthy dose of schadenfreude in recent weeks. Silver said 5% was just a "guesstimate," and that "maybe that was the problem" — that he was acting too much like a typical TV pundit. "If the lesson is that, No. 1, you need to be more rigorous when you're looking at a complicated problem like the primaries, and No. 2, I[you should] probably pay more attention to polls, not less, to me that would count as a win for data journalism," Silver said. Looking back, Silver believes there were fair reasons to be skeptical of Trump, even though primary polls showed him ahead all along. "This is one of the crazier things we've seen in American politics for a long time," he said. Trump was an aberration, a candidate who "went against history," he added. "You've seen a lot of candidates — Newt Gingrich, Herman Cain, George Wallace way back in the day — who had ridden high in the polls, and had flamed out because they lacked backing from their parties." And many, many others in the media were just as skeptical as Silver. "If you go back now," he said, "it's kind of like Woodstock, where everyone now claims to have attended Woodstock and to have known back in June or July, [when] he descended the escalator at Trump Tower, he'd be the nominee." Back in 2012, when Silver was with The New York Times, he and his colleagues correctly called the outcome of the presidential election in all 50 states, giving him vindication over conservative critics who insisted that Mitt Romney would defeat Barack Obama. Silver emerged from the 2012 election as a media star. 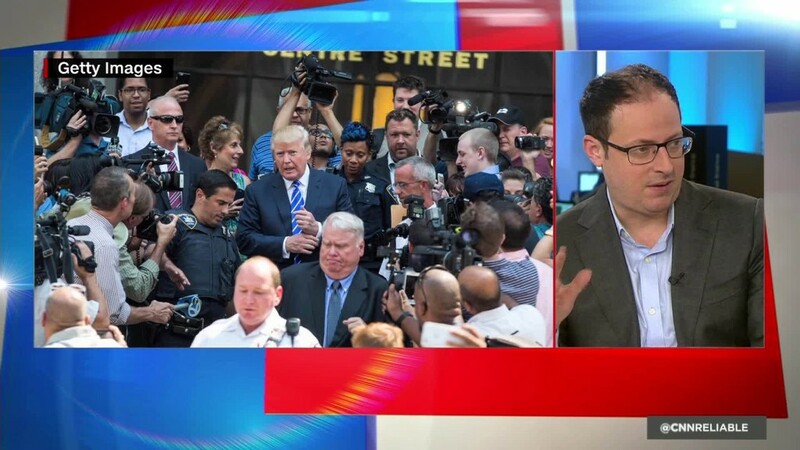 Months after the election, he took FiveThirtyEight from the Times, where it had been housed for three years, to ESPN and ABC. Some reporters at the Times were happy to see him go. Silver has spoken in the past about how Silver's forecasts would anger their sources, including some in the Romney camp during the 2012 election. 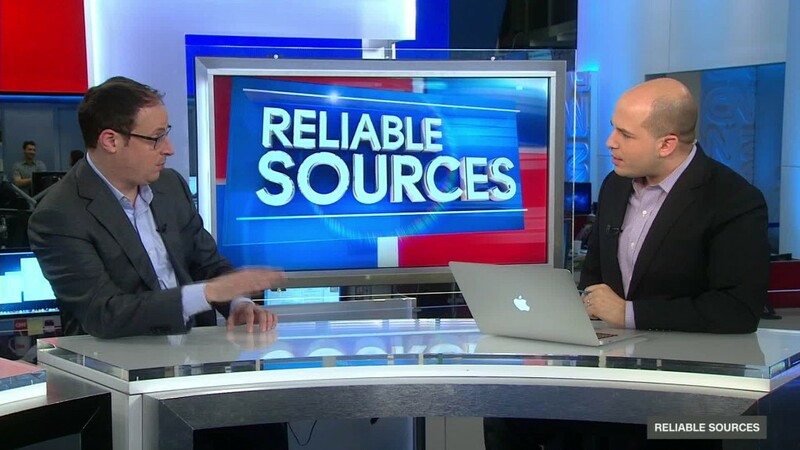 Silver seemed reluctant to talk about that in the "Reliable Sources" interview, but he said, "Part of what happens here is that it's a tough time in the industry, and some of it is, I suppose, some lunch room cafeteria, jocks versus nerds kind of stuff." "There was a real rivalry," he acknowledged, adding, "Sometimes people are reluctant to say what they think is going to happen on campaign journalism, because they're annoyed about potentially angering a source."